The opening day (May 21, 2016) was a festive affair with guests and fans of the arts attending from all over the GTA. 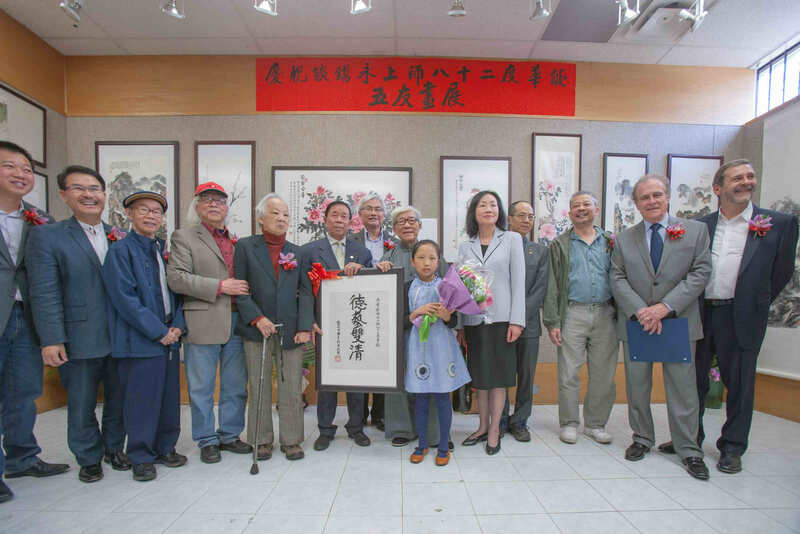 The attendees include city councillors from Toronto (Norm Kelly, Chin Lee), Markham (Alan Ho) and Richmond Hill (Castro Liu), as well as photographer friend of Master Tam, Dr. Fraser Shein. 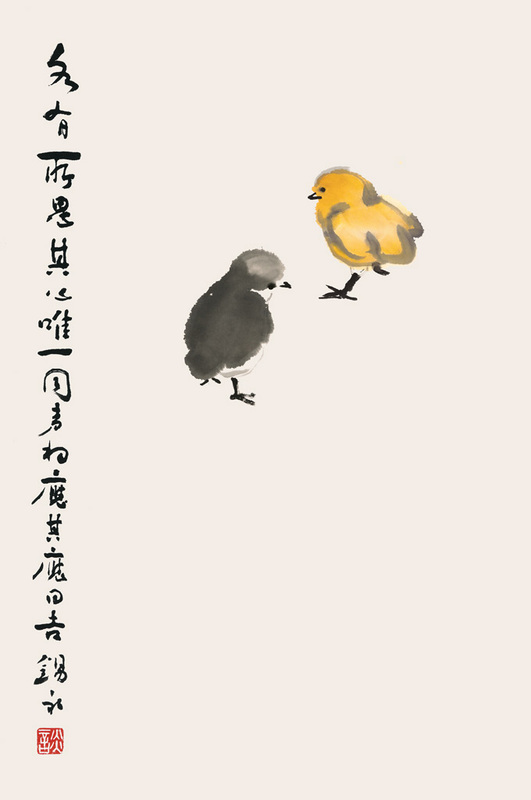 The exhibition features Master Tam’s sixty year old painting. 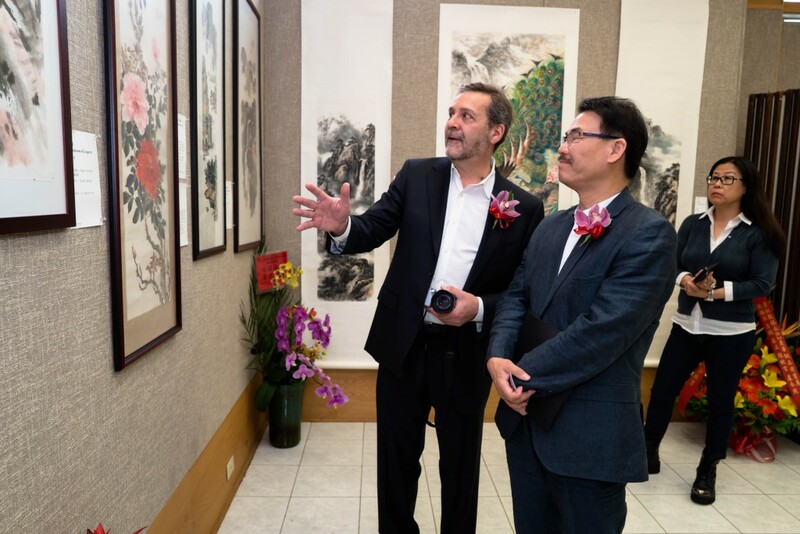 Knowing the history of the painting, Dr. Shein took the opportunity to present it to other guests. Councillor Kelly at one point asked Dr. Shein if the five elderly artists could truly be friends. Shein didn’t hesitate, “They are very competitive.” But diversity is also what makes the Chinese genre continue to thrive. Representing OCAA, presidents Raymond Kan and Jordan Wu each took turn in congratulating Master Tam and the artists. The five elders themselves were relatively subdued today. 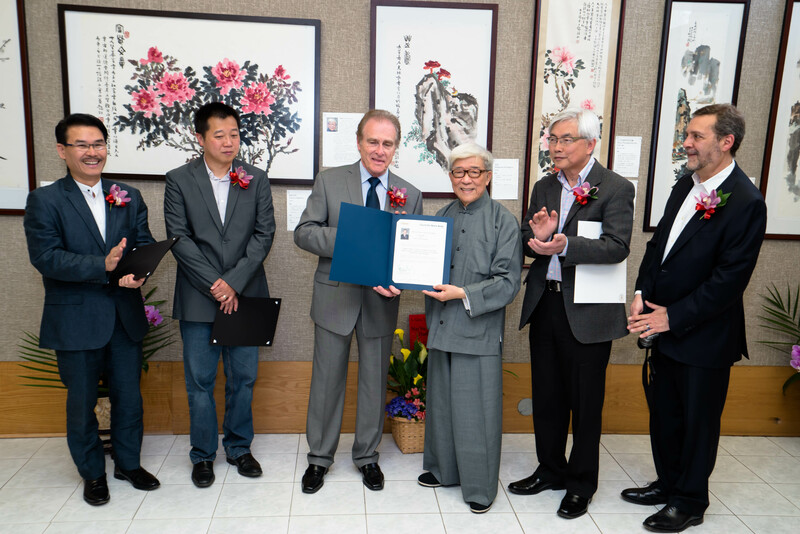 Raymond Kan and Norm Kelly spoke on behalf of everyone on the contribution of the artists. According to Dr. Shein and guests, the paintings are by far the best by Tam and friends. Master Tam Shek-Wing is a Nyingma master. He is the founder of Vajrayana Buddhism Association, with branches in Toronto, Vancouver, Hong Kong and Hawaii. He became a disciple of H.H. Dudjom Rinpoche in 1972 and was ordained a Vajra Archarya in 1984. In this website, you will learn about the Nyingma tradition. Dharma classes and group meditations at our local branches are held in English and Chinese (Mandarin and Cantonese). Recent floral painting (2017) by Master Tam. Recent landscape painting (2017) by Master Tam. Each with its own thoughts, together they chirp. Auspicious. By Master Tam. Vajrayana Buddhism Association © 2019. All Rights Reserved.